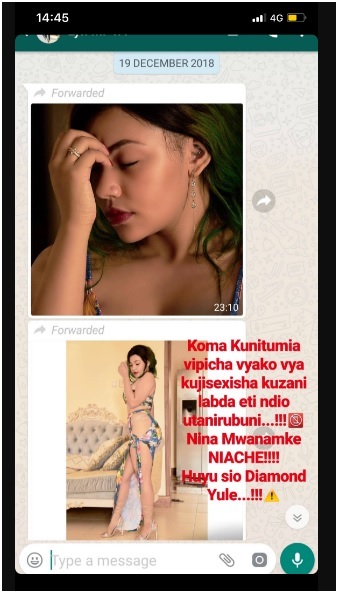 Home / Entertainment News / DIAMOND PLATNUMZ shares screen shot messages of popular video vixen forcing herself to him, she is not ready to cheat on TANASHA. 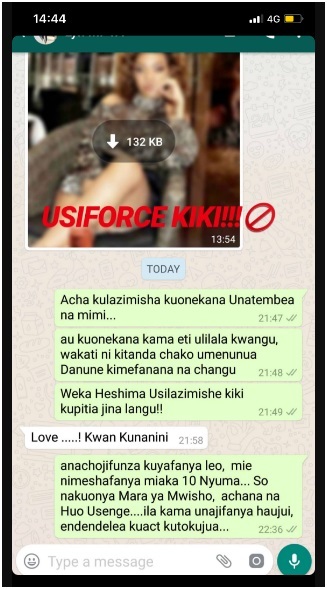 DIAMOND PLATNUMZ shares screen shot messages of popular video vixen forcing herself to him, she is not ready to cheat on TANASHA. 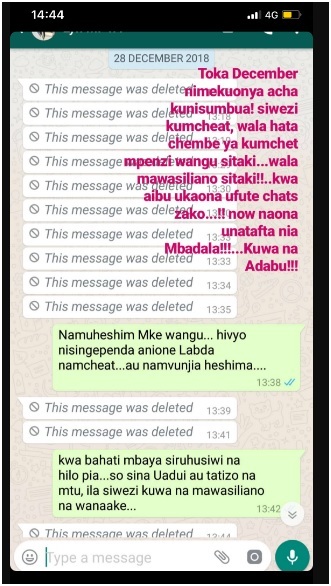 Wednesday, March 27, 2019 - Tanzanian Bongo crooner, Diamond Platnumz, is not ready to cheat on his Kenyan lover, Tanasha Donna. The mellow voiced singer vowed in an interview that he will never cheat on Tanasha and praised her bedroom skills, saying that she is the sweetest woman among all the ladies he has dated and slept with. And true to his words that he will forever remain faithful to Tanasha, Diamond has blasted popular Tanzanian video vixen Lynn and revealed that she has been trying to force herself to him since last year. He shared WhatsApp messages showing how Lynn has been trying to woo him but he is not interested. It seems our Kenyan beauty, Tanasha Donna, has swept Diamond’s heart and blinded him. He doesn’t want any other woman apart from Tanasha. See the screenshot messages that Lynn has been luring Diamond with.